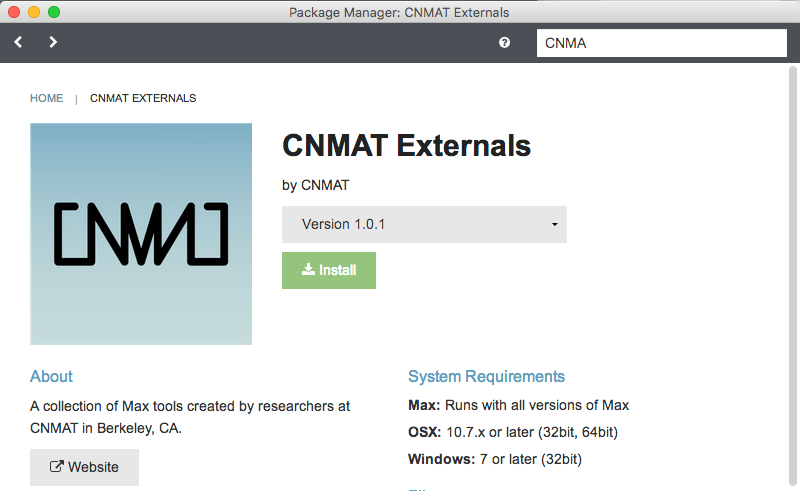 Download the following Max patches: SimpleUdpReceiveAndSend_maxPatches. 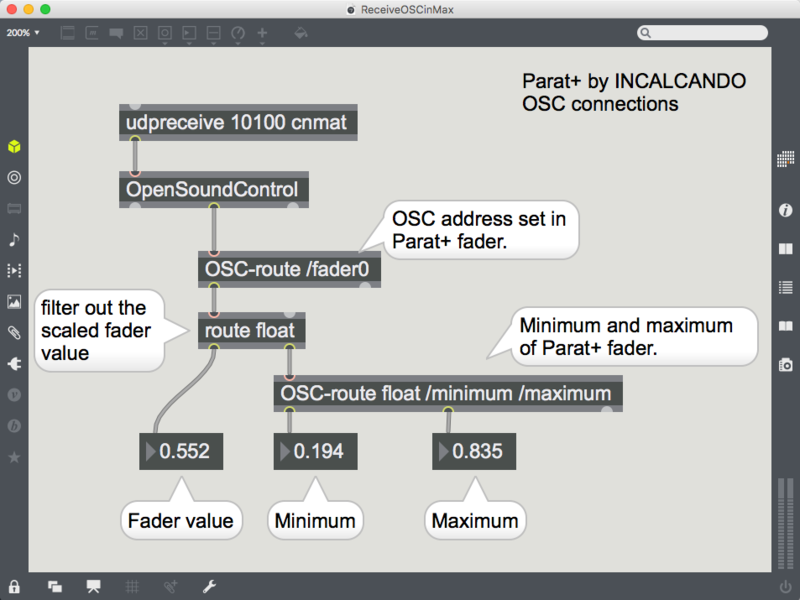 Use the objects udpsend in following way to send OSC data from your Max patches to Parat+. Ensure you are setting the correct IP address and port number in your [updsend <IP> <port>] object. The trigger [t b l], delay [del 5] and OpenSoundControl objects shown here enable the transmission to combine the OSC messages to be combined to OSC bundles which allow for more efficient networking. 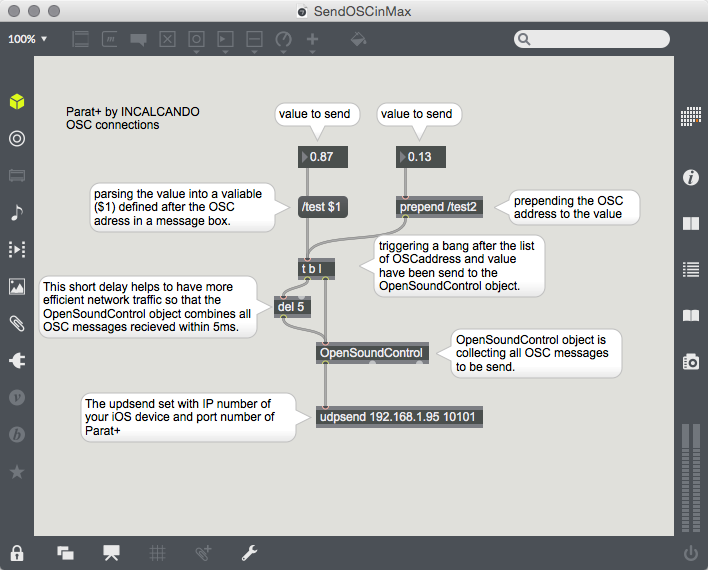 However to send simple OSC messages simply connect a message defining your OSC address, e.g. 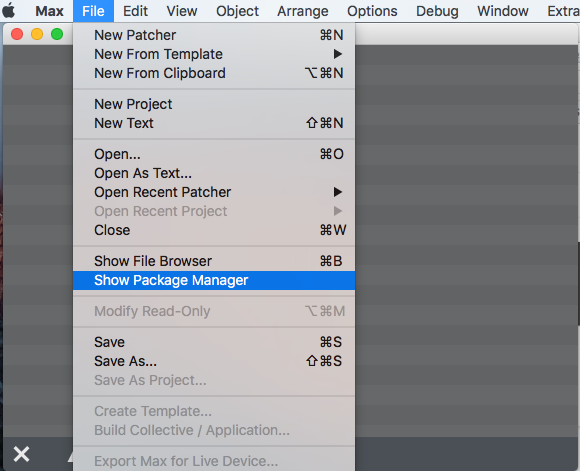 [/test $1] to the [uspsend] object.